You'll be rocking a truly modern look with the Dyna's bold lines and fashionista presence. The stretch fabric and anatomical shaping provides a great active fit. 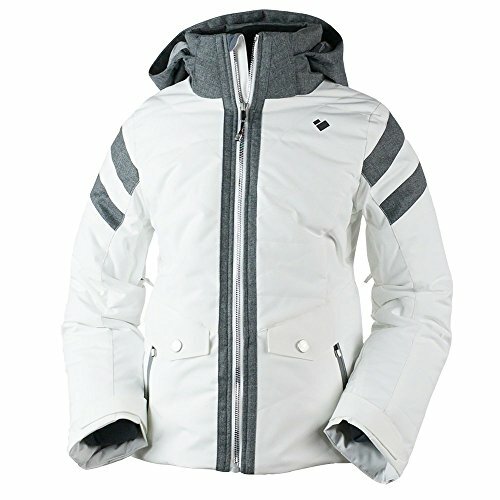 The Dyna Jacket uses our premium hydrophobic 140 gram insulation and CZV Control Zone Ventilation for ideal comfort. Critical seams sealed and our exclusive HydroBlock Pro 15,000mm waterproof/breathable technology keeps you warm and dry. Features include engineered quilting, removable hood, Metaluxe zippers, interior electronics pocket with wire port, cell phone pocket, and integrated Snap-Away powder skirt.